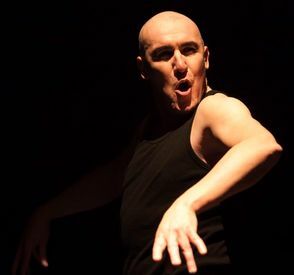 Pat Kinevane is the writer and performer of Silent, a one-man play that combines dance, sound, silent films and monologue to create a truly captivating and touching performance. Kinevane plays Tino, a homeless man whose cinema-crazed family named him after Rudolph Valentino. Tino looks at specific moments in his life – including the suicide of his gay brother – that have led him to become a homeless man with few possessions and who may or may not be losing his mind. A one-man show has the potential of losing momentum and audience interest, especially when it runs at close to 80 minutes. 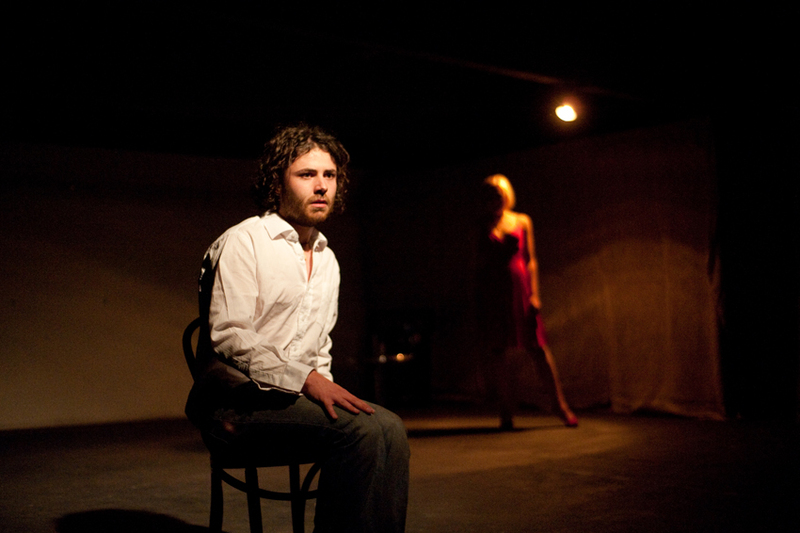 Kinevane manages to maintain and vary the pace with different forms of narration, including short dance numbers, miming with pre-recorded voiceovers, and dynamic acting. The blending from one to another is seamless and at just the right moments- so much so, that you sometimes forget you are in fact only watching a single performer. The large stage is left quite sparse with minimal props available, but Kinevane owns the whole performance area and with the help of well-timed lighting design, also creates an intense and claustrophobic environment thus allowing us to get further inside Tino’s head. Furthermore, the music for Silent beautifully encapsulates the emotional mood of the show and solidly supports in building on the vivid imagery that Kinevane describes to us. Kinevane charms the audience with his character’s vulnerability and good nature and even though the material borders on crude on occasion, he manages to steer clear of actual vulgarity. His interaction with some audience members as Tino further strengthens our poignant connection to this wreck of a man. Silent deals with the guilt and remorse we have about past actions and about trying to make amends with our own selves. This is something that we can all relate to and ultimately hope that it does not become our downfall either. A powerful story with just the right emotional strings pulled.